This one could probably go in the techincal news, but since I haven't blogged in a while, I decided to jot it down here. Following the large outage, bruno's been having some problems keeping up. Lots of dropped connections. I guess most of you noticed that. It's not a lack of hardware this time, just an over-abundance of connection attempts. Some of the dropped connections were local file-server connections, which causes some of the http processes to wait around which causes more dropped connections. Changing some of the TCP tuning parameters helped, but didn't solve the problem. We did some brain storming before the outage and have come up with some tactics to combat these issues. We're setting up our router to proxy the SYN/ACK handshakes. That way if we are flooded, the connections will be dropped before they get to bruno. That'll in turn prevent the NFS connections from getting dropped. 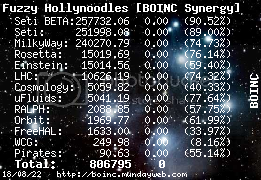 We're also getting rid of some configuration remnants from earlier BOINC server code. Currently bruno handles all of the incoming connections and forwards them to other machines when appropriate for uploads and downloads. We can designate other machines as upload or download handlers so that bruno won't have to touch those connections at all. 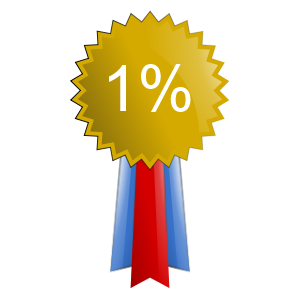 If that's not enough, we'll set up web servers on some of the other machines and get back to round robin DNS for the upload and download servers. Well, that's enough typing for now. This weekend, one of my fingers had an unfortunate meeting with the leading edge of a 120mm fan blade inside a server case. Fortunately the fan blade broke and it doesn't look like I'll lose the fingernail. I've learned my lesson, always approach case fans from the trailing edge. Thanks for the update, Eric, it's very much appreciated. We know you guys are doing all what you can. Message 568130 - Posted: 15 May 2007, 22:59:58 UTC - in response to Message 568090. Yow. Just did that myself three months ago, and lost half the nail. It's grown back since, but damn was that annoying (I type a lot). On the up/download issue, good plan on dropping connections at the router vs. the host itself - hopefully that will have the desired effect and give NFS a kick in the pants. Thanks again for all your and your colleagues' hard work in resurrecting Thumper! Donate to SETI@Home via PayPal! Message 568296 - Posted: 16 May 2007, 3:53:06 UTC - in response to Message 568130. Unfortunately the router couldn't handle the load so we're back to dropping connections at bruno. I spent the last few hours getting a bruno clone, which I have tentatively named Ptolemy, up and running. (It's not quite a clone, dual 3.06 GHz hyperthreaded processors rather than dual 2.8GHz non-hyperthreaded. Where it came from is a story for another time.) I've got the OS installed and am at the point where Matt and or Jeff need to work some apache magic in order to have it be usable in a round robin DNS with bruno. I'm going to go get some dinner, then I'll mail Matt and Jeff with a progress report. I think they'll be surprised how far I've gotten this evening. Message 568297 - Posted: 16 May 2007, 3:57:07 UTC - in response to Message 568296. Then get some sleep. Thanks for the extraordinary effort! Good news and Great job Eric. We appreciate everything you and the rest of the gang are doing. Message 568351 - Posted: 16 May 2007, 8:08:24 UTC - in response to Message 568297. Message 568355 - Posted: 16 May 2007, 8:17:46 UTC - in response to Message 568296. Unfortunately the router couldn't handle the load so we're back to dropping connections at bruno. Out of curiosity, does anyone know how far past max / peak capacity the router was? Would something like Packeteer PacketShaper help, or do you have something similar already in use? Message 568761 - Posted: 16 May 2007, 18:02:44 UTC - in response to Message 568355. Addendumb: I had a 'd'Oh!' moment this morning. Apparently we were running with the upload timeout set at 20 minutes (which I think is the apache default), so our connections were being dominated by machines that couldn't get through, but were hanging onto the connection. If you look at our network traffic, you can see what happened when I lowered that to 30 seconds..... We sending about 4 times as much work as we were when I got in this morning. Message 568763 - Posted: 16 May 2007, 18:06:29 UTC - in response to Message 568761. If you look at our [url=http://fragment1.berkeley.edu/newcricket/grapher.cgi?target=/router-interfaces/inr-250/gigabitethernet2_3&ranges=d%3Aw&view=Octets]network traffic[url], you can see what happened when I lowered that to 30 seconds..... We sending about 4 times as much work as we were when I got in this morning. It's good to see the progress... Hopefully soon things will be better. For the time being, uploading is still an exercise in futility on my machine. Message 568766 - Posted: 16 May 2007, 18:08:43 UTC - in response to Message 568763. Message 568767 - Posted: 16 May 2007, 18:10:45 UTC - in response to Message 568761.
how is Ptolemy comming along ? Message 568769 - Posted: 16 May 2007, 18:13:37 UTC - in response to Message 568766. In my former job, we used it for a brief test period on a Hughes satellite link. It performed admirably, even though the decision was made to go to 56K burst frame. While I know that slow link optimization isn't exactly the same goal as what you need, the product isn't just for slow links... It might help. It might not. Edit: Additionally, SkyX looks like another possible help for the TCP/XML/HTTP acceleration. Would throwing add'l H/W (a dual core puppy - P4 PD 940 3.2 GHz 800FBS 1GB DDR2 667MHz - I've here in reserve) at it to help handle the comms load be of any use? Eric, it looks like you hit the jackpot. Slowly but surely my upload queue is shrinking and WUs are trickling down too. Thanks for making it happen! Message 568883 - Posted: 16 May 2007, 20:26:28 UTC - in response to Message 568847. We're about to put "ptolemy" in the mix in the next few hours. I'll certainly let you know if we need more beyond that. Message 568960 - Posted: 16 May 2007, 21:43:10 UTC - in response to Message 568761.
realize there is something to be fetched. A long delay till same WU is re-send to another client due to timeout. today some of my hosts managed to upload and report almost all their WUs, vs. an average of 1-2/day/host before. The timeout change certainly seems to have eased the situation somewhat. 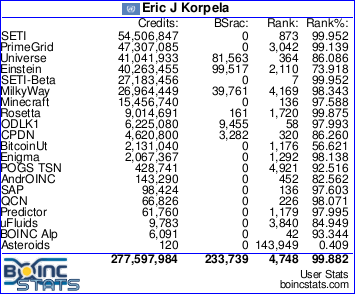 Still, what Iztok mentioned is worth looking into - unless there is a way for BOINC to recover that WU download, it'll put all low-bandwidth users at a disadvantage while reducing overall project efficiency. Regardless, for a measure in hard times, it's a good one IMO. Message 569633 - Posted: 17 May 2007, 16:43:21 UTC - in response to Message 569019. We've moved the scheduler to bruno (from galileo) and both bruno and ptolemy are handling uploads. Only penguin is on download duty, but that may change if downloads start becoming a problem. We'll round-robin the scheduler once we can get round-robin capable feeders built. Matt wasn't able to do it before he left for vacation. Validators and assimilators are offline while Jeff tracks down a strange segfault. The std::vector<>::size() method is reporting an incorrect value, even though the pointers to the start and end of data are correct. IBTHOOM. Apache on bruno hung last night in a weird state. Lots of httpd processes running, but no connections getting through. We'll need to come up with a way to detect that state and fix it without human intervention. Message 569641 - Posted: 17 May 2007, 16:59:38 UTC - in response to Message 569633.